Congressional hearings tend to be dull, but it’s encouraging to see lawmakers actively approaching how to create legislation for self-driving cars. And while there’s considerable debate on how to do that, one industry panelist at a Senate hearing Wednesday offered a welcomed reality check: it’s going to take decades for the driverless car revolution to completely unfold. For one thing, retail sales of fully-automated vehicles aren’t expected to begin until 2025 at the earliest, wrote Mitch Bainwol, in testimony to the Senate Committee on Commerce, Science and Transportation. Bainwol is the president and CEO of the Alliance of Automobile Manufacturers, a trade group that represents Ford, General Motors, FCA, BMW and more—automakers that produce 80 percent of cars on U.S. roads today. To put it plainly, he speaks for a significant chunk of the industry. And in his written testimony ahead of the committee’s hearing on Wednesday, Bainwol offered a sober assessment of the situation. 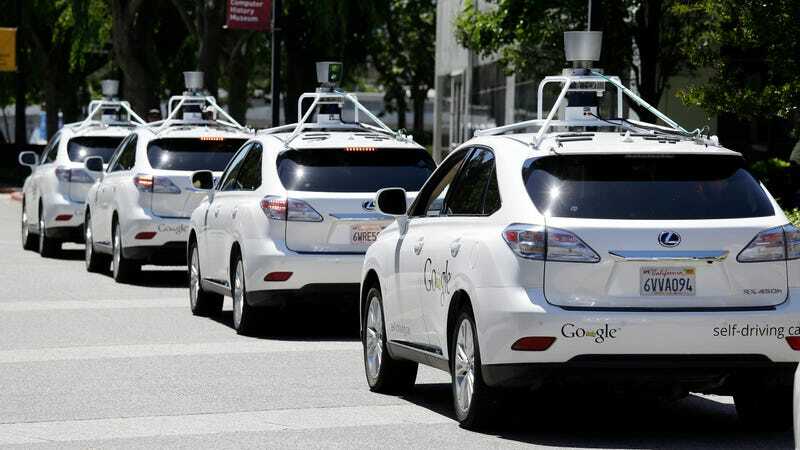 Level 4 geo-fenced self-driving vehicles that can only be operated by an Automated Driving System will probably begin around 2021. But, retail sales to consumers of so-called Level 5 vehicles that can operate anywhere a person can drive a conventional vehicle today is unlikely to happen until around 2025 or after. Given how much vehicles cost and how long they last – more than 20 percent of cars on the road today were produced before 2002 – vehicles equipped with Level 5 systems will likely not be a majority of the fleet for three more decades. Ubiquity is not projected to occur for at least four decades largely due to the fact that over 260 million light duty vehicles are registered in the U.S.
Society benefits from the implementation of automated cars because there’s 35,000 fatalities per year from car crashes. Most humans are terrible drivers. So, in theory, an automated transportation network solves the problem. But Bainwol’s assessment on Wednesday drastically departs from the giddy optics of GM’s announcement this week that it’s now building self-driving cars in a mass-production facility. It’s an accomplishment, to be sure, but a GM spokesperson later tried to tell me the Bolt EVs rolling off the line are “fully autonomous,” which is misleading and untrue. What is true is exactly what Bainwol offered: the robot car revolution will be cumbersome and tedious.